The owner of Fairfax Backyard Farmer, a store specializing in homesteading products and workshops, gives advice on how backyard farming can be both easy and rewarding. Jim Normandi's advice for first-timers: “Starting small with a mentor or guide can be very satisfying and help to avoid confusion and frustration, which can spoil what might otherwise become a rich and rewarding experience.” His own current project: his on-site composter and worm bins. “It has become a game to see how many kitchen scraps I can bring from home to keep feeding our in-store worms and and microbes,” he says. Do you want to be more self-sufficient and channel your inner farmer? Whether you have lots of land, a petite balcony or extra room in the kitchen, there are a variety of ways to produce your own food. Here are tips from Jim Normandi, owner of Fairfax Backyard Farmer, for creating a more fruitful and healthful homestead. The trials and tribulations of farm-steading are often bittersweet. Be ready for potential failures but be on the lookout for successes. Don’t be afraid to seek help, read books, take courses and ask questions. The Mill Valley Public Library hosts many how-to classes on topics like pickling vegetables, baking bread, brewing beer, creating miso or making pizza. There are many paths to DIY: make your own cheese or sourdough bread; build an owl box, bat house or worm bin; learn fermentation; grow mushrooms; build a raised bed for vegetable plants; install a rain barrel to collect rainwater or a compost tumbler for your kitchen scraps; brew kombucha, hard cider or beer. Grow medicinal herbs and flowers that attract beneficial insects and also yield ingredients for homemade health and beauty products. Calendula, peppermint, rosemary, lavender and chamomile are good choices here. A redwood chicken coop (available at stores like Fairfax Backyard Farmer) can provide a safe place to start your own flock (and gather eggs). And a backyard hive can hold as many as 40,000 honeybees, providing hours of interest along with your own local honey. Be sure to check local regulations first to make sure your project is legal. Making beverages and edibles can not only save money, maximize supplies and teach new skills; you can also gift the surplus goodies to family and friends. 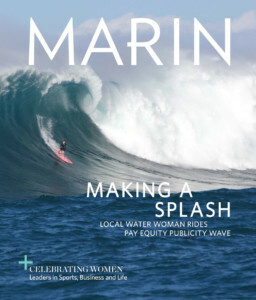 This article originally appeared in Marin Magazine's print edition with the headline: "Home on the Range".